Want To “Sell My House Fast In Scarborough”? Great. We Buy Houses With Cash. Get Your Fair Cash Offer In Your Hand Today. How To Sell My House Fast In Scarborough, Toronto, ON. You can sell your home now. No waiting. No commissions. Just call us! Selling your house with a real estate sales agent does not always work out. Sometimes homeowners wait months without an offer. And other times sales agents just don’t find a good buyer. You may not want strangers meandering through your bedrooms and closets during open houses. You may not want to keep your house like a museum for 6 months just in case the agent calls and wants to show someone your house. But you probably do not want to wait months. And you probably do not want to pay high commissions. And you probably do not prefer to sign a 6 month commitment to only use one single sales agent. Agents usually recommend that your house look so perfect that it could be on HGTV. But that’s unrealistic for how most people live. And it causes more stress every single day. You are not locked into selling your property that way. You don’t have to live under those stressful circumstances. Do you think that any agent will hand you an all cash offer to buy your Scarborough, Toronto house within 24 hours after calling them? I’ve never heard of that happening. Imagine getting a fair offer for your house within 24 hours from now. Then walking away from closing with cash in your pocket. What would you do? Where would you celebrate? We help people who are in tough situations, such as death of a family member, foreclosure, divorce, difficult rental property, unaffordable repairs, and many others. We can help people by buying their Scarborough, Toronto property at a fair price and using all cash. So you can sell my house fast in Scarborough, Toronto, ON. If your property has become a burden, then you can sell it without the long wait time and expense of selling it the traditional way. Let us know about the property and we’ll give you a fair all cash offer. We can take some of the burdens off your shoulders. Give us a call today at (647) 848-7790. 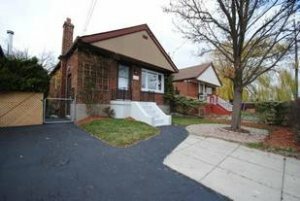 Would An Investor Buy My House In Scarborough, Toronto For Asking Price?